Spherical Rings are manufactured from either STRESSPROOF® or FATIGUE-PROOF® carbon steel which are later coated with TiN (Titanium Nitride) which provides surface hardness and lubricity. Rings are selected to be .001” over the OD of the barrel. Ring removal and insertion instructions are provided. Bushing wrenches are sold separately. 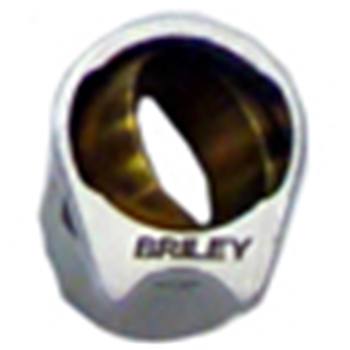 Customers can have bushings fitted by Briley.